Product #21486 | SKU KUC01W | 0.0 (no ratings yet) Thanks for your rating! 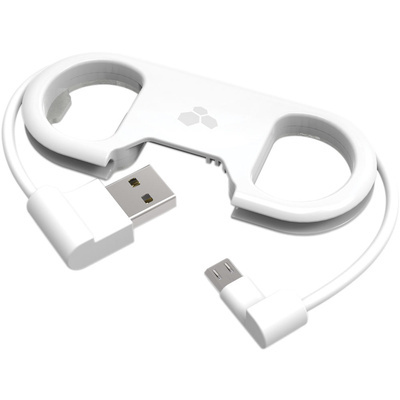 The white GoBuddy+ Charge and Sync Cable with Bottle Opener from Kanex features a USB type A to micro-USB interface. It allows you to charge smartphones, tablets, and MP3 players at home, office, or in the car. The connectors reside securely in the device's housing, which prevents the cable from getting tangled. You simply have to slide the connectors out, plug the USB end into the computer, charging adapter, or portable battery pack, and then plug the other end into your smartphone, tablet, or MP3 player. The GoBuddy+ also features a bottle opener and can be attached to a keychain or bag using the included carabiner clip.